Kumar Sangakkara is more than a cricketer. When he scores runs, Sangakkara is not just playing a game or plying a trade. The great Sri Lanka batsman is treating a nation whose body still floats on the putrid waters of the civil war and the 2004 tsunami. 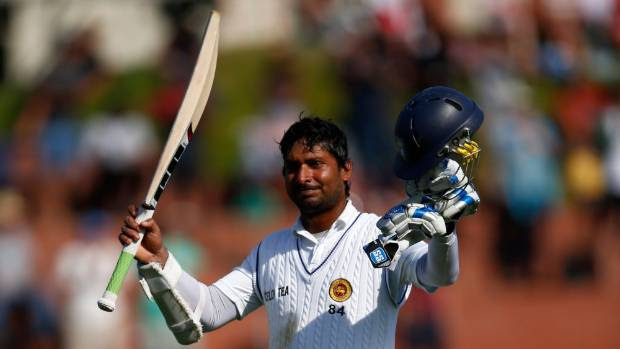 Sangakkara serves his country when he bats. He is a man from beyond the boundary. Does that sound grandiose to you, a little far-fetched? It is hard to think otherwise in this golden land where for many sunburn is the biggest daily danger. But when Sangakkara speaks of “the potential of cricket to be more than just a game … a sport so powerful it is capable of transcending war and politics”, he is thinking of home. My Sri Lankan doctor friend put it simply. “Cricket heals,” he said. Sangakkara’s first cricket coach, D H de Silva, “a wonderful human being who coached tennis and cricket to students free of charge”, was shot on a tennis court by insurgents. They put two bullets in his stomach. As he lay on the ground, the rebels pressed the barrel to de Silva’s head. The gun jammed. Such tales are Sangakkara’s history. He grew up in the damp hills of Kandy where frequent drizzle moistened a pitch that was forever green. As a boy Sangakkara learned to play against swing and seam and bounce and carry. His current teammates from Colombo may have looked on this Basin pitch as a foreign surface, but when Sangakkara came out onto the green grass, he saw only home. He wasn’t an heroic boy, not like Mahela Jayawardene. Crowds of 10,000 used to come to watch the 13-year-old prodigy bat in Colombo. Sangakkara was just another lad with a bit of talent. Fittingly when he came down from the hills to the big city, he did not join Colombo Cricket Club, with its colonial history of tea and timber, but the Nondescripts. Back then Sangakkara did not tell boyhood stories of his Tamil friends who hid in his Sinhalese parents’ house in order to avoid being butchered in the race riots. He talked instead of his dream to one day play for his country. Sangakkara’s teammates sat back and laughed. None of them would have believed that this boy from the hills would become perhaps the greatest batsman of them all, greater than even Arjuna Ranatunga and Sanath Jayasuriya and Jayawardene. Sangakkara’s current test average of nearly 60 is even more astonishing given that his first 40 tests were played as a wicketkeeper-batsman who went in at No 3. Purely as a batsman he averages nearly 70. It was a privilege to be at the Basin on Saturday afternoon when the people of the capital gave Sangakkara a standing ovation on passing 12,000 test runs. The next day Brendon McCullum ran to shake Sangakkara’s hand when he reached his double century. The reaction from crowd and captain did New Zealand proud. Many may not remember that Sangakkara and his teammates were in a New Zealand dressing room when the early sketchy news of the devastating tsunami first leaked in by text on Boxing Day in 2004. Typical of the man Sangakkara returned home and joined Muttiah Muralidharan’s relief convoy, taking food and supplies out to people whose lives had been smashed. When Sangakkara is out of touch, as he was early on this tour, and driving everyone mad with his endless demands for throw-downs in the nets, it is partly because he must give something back to his people. So when Sangakkara is asked to not retire, he cannot refuse. When he wins the man of the match in the final of the 2014 T20 World Cup, Sangakkara knows that cricket is more than a game. When he hits the four that takes him to his 200 on Sunday afternoon, it is not a destructive shot because Sangakkara is a healer. The Sri Lanka squad for the ICC Cricket World Cup 2015 contained two big surprises for me: the absence of opener Upul Tharanga and the inclusion of Jeevan Mendis as a spin-bowling all-rounder. 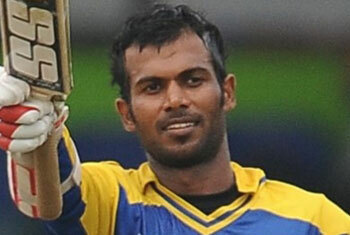 Tharanga’s omission shocked me. True, he had not been picked against England or New Zealand, but he has a decent One-Day International record, averaging just under 34, and he has the precious gift of experience, with 176 matches under his belt. He was a key member of our squads in both 2007 and 2011 when we reached the final on both occasions, and in that latter tournament he made 395 runs, including centuries against Zimbabwe and England, at an excellent strike-rate of almost 84 runs per hundred balls. “Since 2009, I had fretted over the fact that I was probably the only player to have scored a whole lot of Test runs without playing in a World Cup. I worked hard with our shadow coach, Chandika Hathurusingha, to open up my game a bit more, and I lost six to seven kilos to get fitter. My two one-day hundreds also gave me a lot of self-belief. At 34, I knew it would be my last chance to play a World Cup, and that it would also be Murali’s last World Cup.” Read the rest of this entry ? 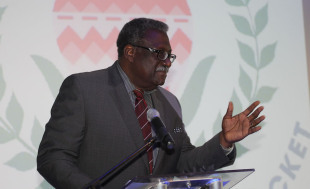 Former West Indies captain Clive Lloyd has said that West Indies cricket has been “messed up” by the T20 format, creating a situation where playing Tests for the country did not seem to be a paramount goal for players. Speaking at the Annual New Year’s lecture in Cape Town, which is also hosting the third Test between South Africa and West Indies, Lloyd said that the ICC needed to be stronger and that the game could not be ruled by only three countries – a reference to the governance and financial restructuring of the ICC cricket’s governing body, which took place last year and was based on changes devised by the BCCI, Cricket Australia and the ECB. Read the rest of this entry ? … as he reaches NEW Zealand? You are currently browsing the Critiquing Cricket blog archives for January, 2015.